If heavy snows damaged your trees over the winter, you can minimize the damage this spring. The first step is to assess the damage. If a tree is healthy overall and still possesses its leader (the main upward branch), most of its major limbs and 50 percent or more of its crown, the chance is good for a complete recovery. Think long and hard about doing the clean-up work yourself, or hiring a contractor. Many of us are afraid of chain saws and ladders. 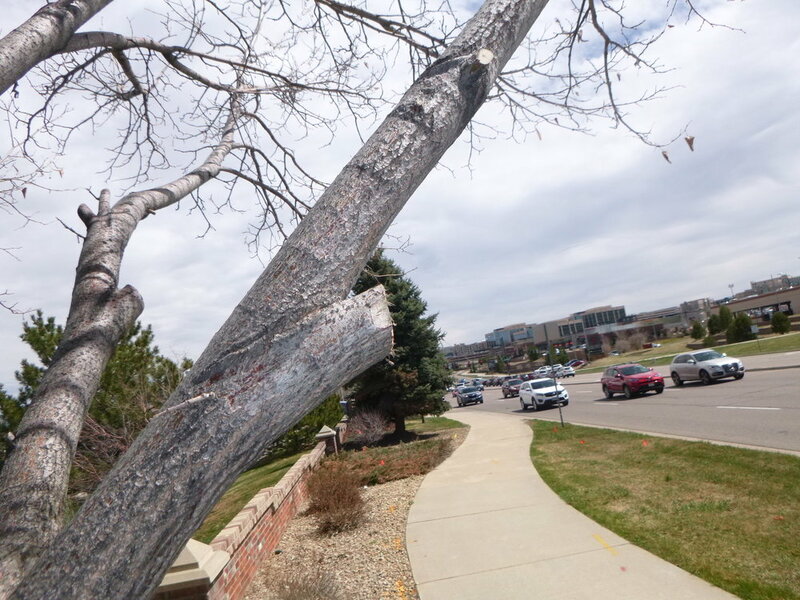 Google “Denver tree care companies” to identify potential contractors. Remove broken branches. Saw, don’t pull broken limbs. This minimizes the damaged area. Doing so reduces the risk of decay, as well as the opportunity for insects or diseases to enter the tree wound. Prune near the branch collar – the point where a branch joins a larger one – and be mindful of potential pent-up energy if the branch is twisted or bent. Don’t over-prune. With the loss of some branches, a tree may look unbalanced, but most trees quickly grow new foliage that hides bare areas. Throughout the month of April, we will be sharing tree tips with the community in celebration of Arbor Day. Stay tuned and be ready to leaf into action!